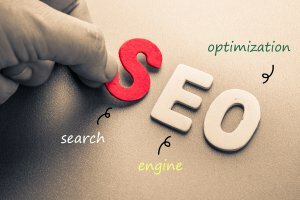 Search Engine Optimization (SEO) is one of the most sought after tools to improve the visibility, branding and overall business. The biggest challenge for any business is to ensure that when people search for a product or service they offer, the internet should find them and not the competitor. This is where SEO comes into play! 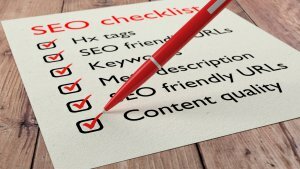 Search engine ranking is an ongoing change but you have to make sure that your website is user-friendly with fresh content to have a steady stream of traffic. This blog will help you by giving you insight on how to increase organic traffic to your site. The most crucial point of enhancing organic traffic is to provide fresh and new content. You are creating content for humans and it should be meaningful, informative as well as interesting to keep them interested. Have a blog section on your website, keep it updated and through this you connect and build relationships with your audience. Avoid poorly written content as it can affect you negatively. Emerge as a thought leader and provide new innovative content for Google to index. Linking is basically getting in touch with those who have mentioned you, your content, product/service or your business without linking you directly. You can make them request a link to your website as the returns and conversion rates here are high. Even Google is biased to those sites who have lots of incoming links as it prioritizes them. You achieve this by encouraging your friends, family, business partners and relatives to do the same. But avoid links from low reputation sites as this will damage your SEO. The meta description is typically a bit of information below the search results link. It describes the content of a website to the user, which shouldn’t be more than 150 characters. It is quite a simple technique but an effective one. Through this, you can convey to your audience why they should click through and visit your website than any other. Social Media is unarguably the most used platform to provide information and have it spread through sharing. Make a presence of your business on different social media networks such as Facebook, Twitter, and Instagram. You can make sharing your content easier by adding share buttons to your website. All this will help your website in getting out there and getting addressed. So make full use of it and double your business through social media. Keywords play a vital role in organic search engine optimization. Just don’t go blindly with the most popular keywords in your market. Make use of those keywords that are specific to your particular product or service and best suits them. Over time, search engines will identify your website for that particular product, which will help in boosting your rankings. All in all, you have to offer your customers what they want. So, build up an integrated strategy and hire an SEO company that best meets yours as well as your client’s requirements.